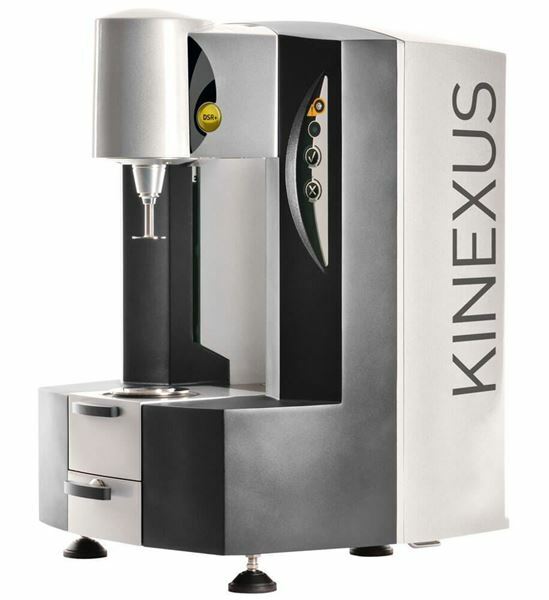 Kinexus Dynamic Shear Rheometers for Asphalt Binder Tests - Gilson Co.
Kinexus Dynamic Shear Rheometers feature advanced modular design, allowing configuration of models specifically meeting current ASTM and AASHTO requirements for asphalt binder tests. Standard operating modes of the DSR include direct strain control, shear rate control and shear stress control with operation in steady, dynamic and transient loading modes. The Active Hood cartridge used with both models is a plug-and-play environmental controller that provides precise temperature control and easy to operate integrated calibration. Peltier elements dynamically control thermal gradients within the sample quickly and accurately. The cartridge controls and monitors temperatures to ASTM, AASHTO, and EN requirements. Upper and lower sample fixtures with 4, 8, and 25mm diameter plates for asphalt binder specimens are provided. Alerts are generated if incorrect plates for the selected procedure are used. Automatic recognition of sample fixtures and configuration of specimen size through the software minimizes errors. The rSpace software provides step-by-step user guidance and continuous feedback. The software can be set up to perform standard test protocols or fully customized sequences, and retains a complete sample history from loading to unloading. The report functionality features auto print or PDF generation. Silicone Rubber Specimen Molds are purchased separately. The DSR models operate on 110V/60Hz or 220V/50Hz power supplies. HM-87 DSR-lll is designed to meet the needs of most QC/QA laboratories. Torque range for viscometry and oscillation is 100nNm to 150mNm, and normal force range is 0.01N to 20N. Temperature range controlled by the Active Hood cartridge is 0° to 150°C with 0.005° resolution (32° to 302°F with 0.009° resolution). Stability is ±0.03°C (0.05°F). HM-88 DSR-E features wider torque and temperature capabilities and greater measurement sensitivity. It is also equipped with fixtures and capability to perform testing of rectangular or cylindrical solids such as asphalt cores, making it suitable for advanced research facilities. Torque range for viscometry and oscillation is 10nNm to 200mNm, and normal force range is 0.01N to 50N. Active Hood temperature range is -40° to 200°C with 0.0005° resolution (-40 to 392°F with 0.0009° resolution). Stability is ±0.01°C (0.018°F).